The Habitat ReStore sells new, used, and overstocked home improvement materials, furniture, appliances, and home décor items donated by stores, manufacturers, contractors, and individuals. The profits from the Habitat ReStore help Habitat for Humanity build and repair homes in the community. Donate items to the ReStore! Everyone is welcome to shop at the Habitat ReStore. 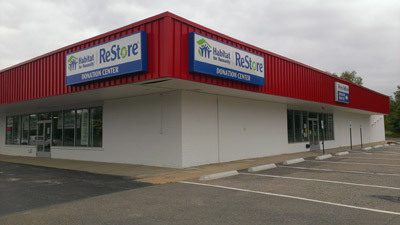 The ReStore located at 7612 S. Westnedge Ave. Portage, MI 49002 269-381-5523.